Paychecks & Balances is a funformative show covering work and money for the rising professional. 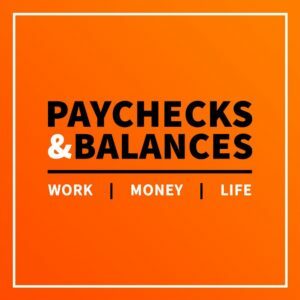 Rich and Marcus leverage our individual stories to provide entertaining insights and helpful tips on money management, professional growth, and other topics relevant to young professionals trying to get ahead in the game of life and adulting. New episodes come out every Tuesday, unless life comes at us too fast, in which case you should join our email list so you know when to expect nothing (and a lot more). After years writing for a relationship blog (yes, we were men writing about matters of the heart), we decided to take our talents to podcasting. We were both making progress professionally and financially, and we wanted a medium to cover things important to rising professionals. We aren’t experts, but we’ve had some experiences that have provided valuable lessons that we like to share. For example, Marcus got out of $30,000 in debt and Rich was recruited to work for one of the best companies in the world. We also sprinkle in relevant guest interviews and are happy to research questions about career and debt management on behalf of our listeners. Real stories, no gimmicks.